Both Manchester clubs are ready to battle Chelsea for Kalidou Koulibaly, should the Senegalese star signal his intent to move to England. The Napoli star has been more than happy to stay in Naples, but the giant centre-half is now believed to be showing an appetite to move on. Paris Saint Germain have been heavily linked, but a move to the Premier League is believed to be high on his agenda. Chelsea boss Maurizio Sarri has been pushing for the club to line-up a deal for Koulibaly this summer, but it is far from certain that he will still be in charge next season. And whilst Koulibaly would love the chance to link-up with the Italian again, his people are aware that options could be open to him at both Manchester clubs. City are looking at options with the futures of captain Vincent Kompany and Nicolas Otamendi, whilst United have long been in the market for a new centre-half dating back a couple of transfer windows. 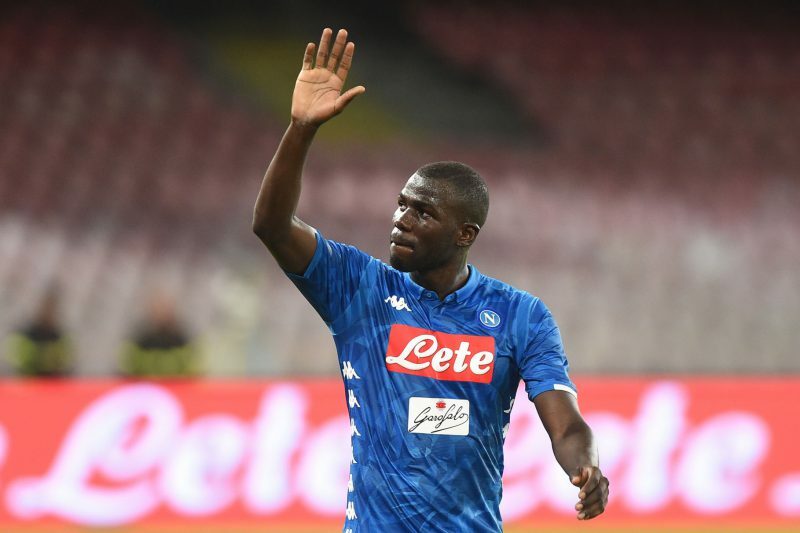 Kouliably’s former agent has added to the uncertainty around the giant defender by claiming he will be available in the summer for £87.5 million. “If Koulibaly leaves [Napoli], he will not come to PSG. His transfer could cost €100m (£87.5m),” Bruno Satin told Canal+. Bookmakers also believe Manchester is a likely option for the impressive Senegalese with BetVictor making United favourites to land him at 4/1 with City next in line at 8/1. Odds accurate; 06/02/2019 12:00 am.